Usually, it’s pretty noticeable when a cat starts to lose his hair. If you notice your pet’s beautiful coat of hair falling out, it may be a cause for concern. Here are some of the most common causes of hair loss in cats. Cats can develop various types of dermatitis. Contact dermatitis, one of the common causes of feline hair loss, can be caused by various things in your cat’s environment. Carpet deodorizer, various chemicals, and even wool can all lead to contact dermatitis among other things. Medications that are applied to the skin may be the problem. Hyperthyroidism is a disease that generally leads to hair loss in cats. The thyroid gland is responsible for pumping out different types of hormones for various functions. Problems occur whenever it produces too few or too many, as is the case with hyperthyroidism. Potential treatments include removing part of the thyroid gland, daily medications, or radioactive iodine therapy. What you feed your cat can be the reason his hair starts to fall out. Cats can develop sensitivities to certain ingredients over time. To help see exactly what foods may be the problem, the vet may place your cat on a food elimination trial over two or three months. Ringworm is a highly contagious infection that’s caused by a fungus, not a worm. Hair loss in cats caused by ringworm will have circular, patchy shapes. The affected areas will also turn red and be quite itchy to your cat. If you have other pets in your home, you will need to keep them away from your affected cat. You would also need to disinfect all surfaces your cat came into contact with, and ideally toss out all bedding. 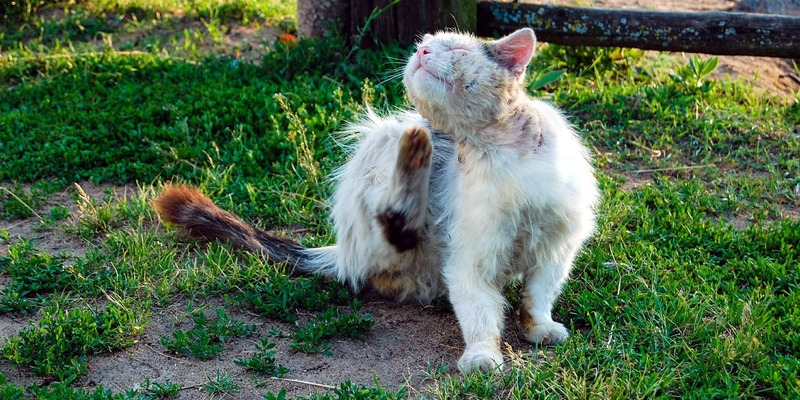 An infestation of fleas doesn’t just cause your kitty to itch. Feline hair loss can be caused by sensitivity to flea bites. This type of reaction can develop over time. A combination of antihistamines and steroids will alleviate your cat’s itching and the hair will grow back over time. In the meantime, you will need to implement effective flea control methods for your cat’s environment. There are many different species of lice. Those that affect cats cause typical symptoms such as itching and a rough coat of hair. As the situation worsens, hair will start to fall out and crusts will develop in the affected areas. Giving your cat a bath with medicated shampoo should be enough to get rid of the problem. Just like with humans, chemotherapy has a number of ill side-effects. One of the most common is hair loss in cats. Although your cat won’t look any better on the outside, hopefully the chemotherapy medications will do the job they were designed to do. After your cat stops taking them, his hair will start to grow back. However, it may not be the same as it was before. As you have learned, there are many different causes of cat hair loss. If you notice any changes in your pet, it is best to let your vet take a look. Whenever something goes wrong with your cat, you likely take him to the vet. Certainly, that’s the best thing to do in almost any situation. However, it can’t hurt to know a thing or two about whatever is wrong with your cat. That’s what common-cat-diseases.com exists for. Come learn about a range of problems that can affect your pet such as pregnancy in felines. 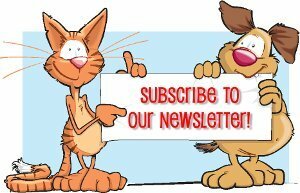 There are also plenty of cat care articles for you to read through, including an ebook for cat food recipes. Check it out today!